set to be held on August 17-19, 2018 in Batangas, Philippines! For the second time around, it is with great pride that the Philippines will once again welcome physical therapy students coming from Asian countries to gather for the long-awaited annual event of the Asia Physical Therapy Students Association. Philippines will be giving talks on their area of specialties. 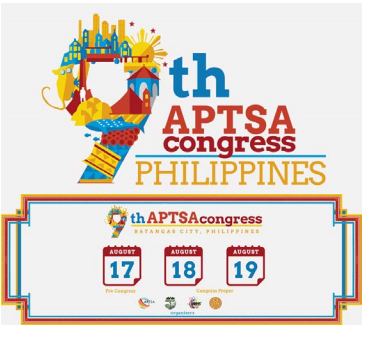 This year’s theme for the 9th APTSA Congress is entitled, “9th APTSA Congress: Emerging PT Practices”, and this is set to be held at the University of Batangas this August 17-19, 2018.